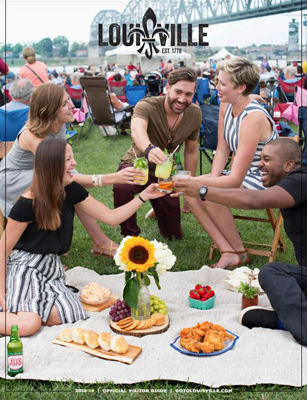 Ethnic heritage festivals, wine dinners, beer weeks, cooking classes, special tastings and entire weekends dedicated to bourbon and pork, Louisville’s culinary community keeps the calendar full. Search by type of event or time of year. While some enjoy the luxury of being led around on a special guided tour, others like the adventure of exploring on their own. Experiencing bourbon heritage, including distillery and bourbon candy-making tours and Louisville’s version of a pub crawl in the Urban Bourbon Trail, are certainly primary ingredients in the city’s authentic culinary scene. There are also wineries, chef’s tables, farm tours, craft beer tasting rooms and guided themed food excursions. There are more than 30 seasonal markets offering locally-grown produce and other agricultural goods throughout the greater Louisville area. Louisville’s Urban Bourbon Trail links the world-class bourbon bars serving the country's only native spirit in its gateway city. Many restaurants in the city pay tribute to The Brown Hotel’s original creation with their own recipe.